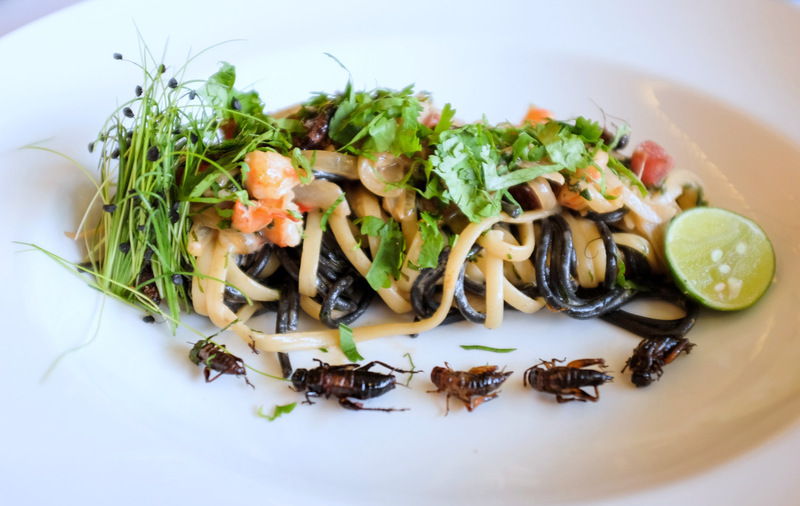 When we mentioned Gastro Bar By Burgeon's cricket pasta to a friend, his first response was, "Why on Earth?" 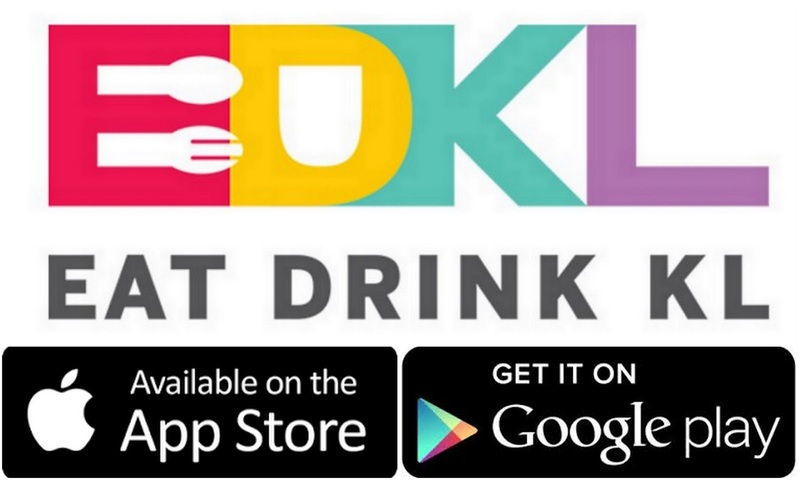 That's a fair question that this ceaselessly inventive restaurant is happy to answer. 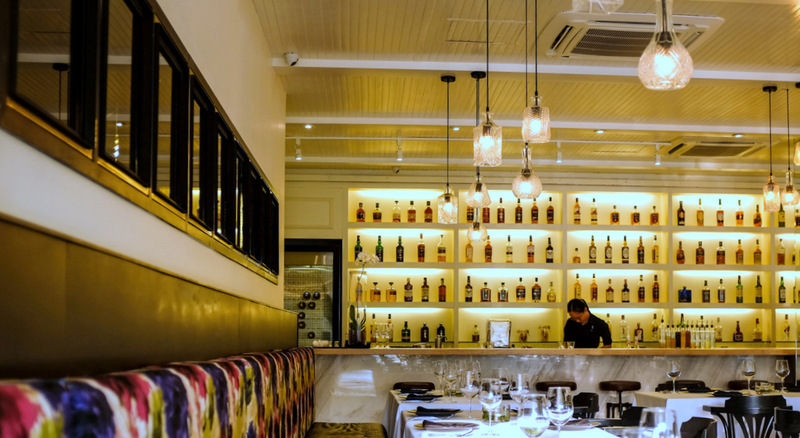 Chef Justin Yap & his kitchen brigade are all about telling stories through their food, harnessing both local & foreign inspirations to create pretty special offerings that bring together the familiar & the strange. 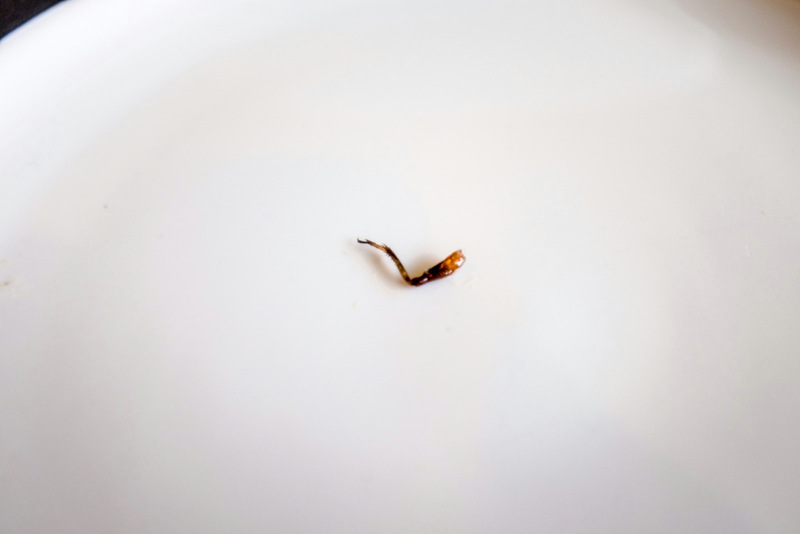 For much of Gastro Bar's menu, the team regularly scours the markets of Taman Megah & Taman Tun to source for produce, but for their latest effort, they headed to the town of Banting for carrot-fed crickets (reared to feed birds & completely safe for human consumption), crafting the first insect-themed recipe we've seen in a Malaysian eatery. 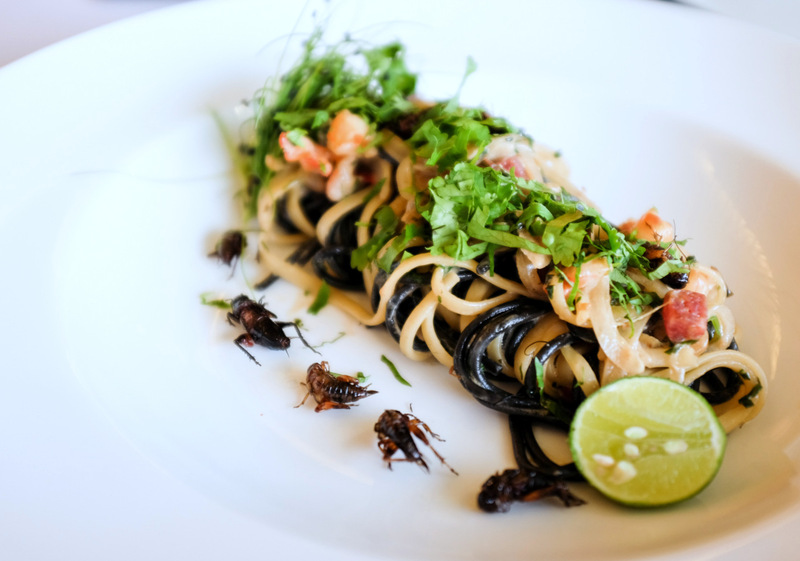 You'll find 12 pomegranate-infused & curried crickets on your plate of squid ink durum wheat pasta, entangled with morsels of Chinese lap cheong & Cajun-spiced tiger prawns in a mix of kaffir coconut cream reduction & cilantro-garlic emulsion that's meant to evoke Peranakan flavours (think of this as a Southeast Asian carbonara). 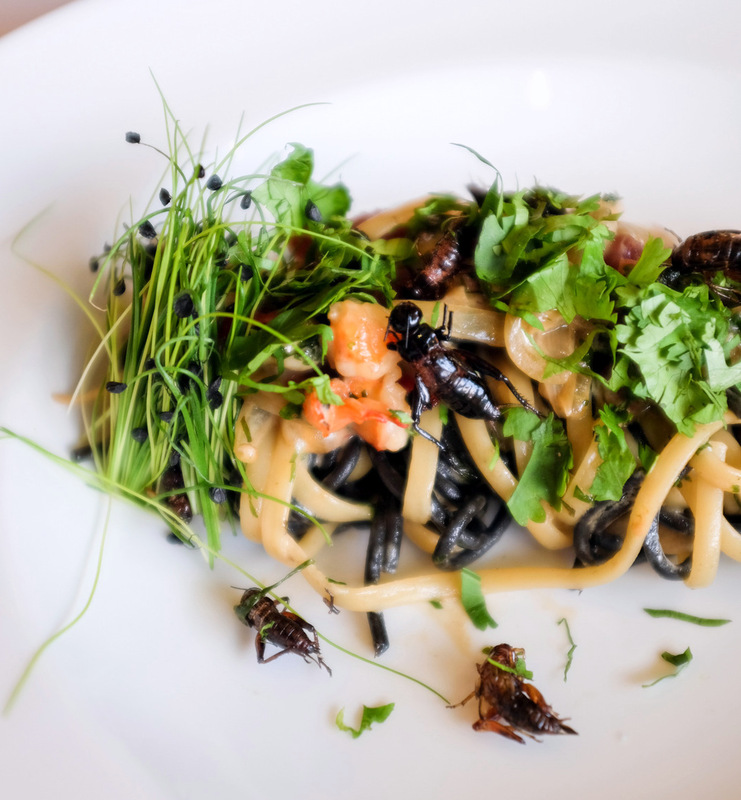 It's as enjoyable as any well-executed pasta, with fresh, pleasing flavours - the crickets (which remain live in the kitchen until orders come in) serve a purpose, supplying a light, almost airy crisp, with a slight grit for textural contrast. In terms of flavour, they're much milder than the fried insects of Bangkok; so beyond the visual shivers, they're as inoffensive as, say, croutons. 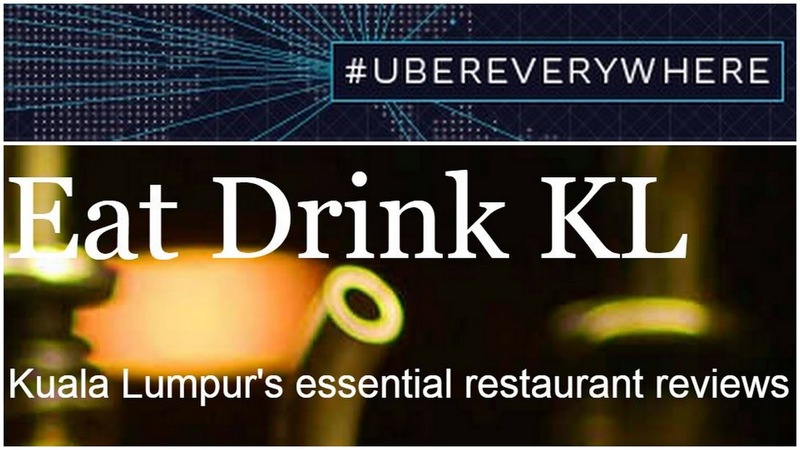 Plus, if insects truly are the protein of tomorrow, it's time Malaysian restaurants get a head start on the future. 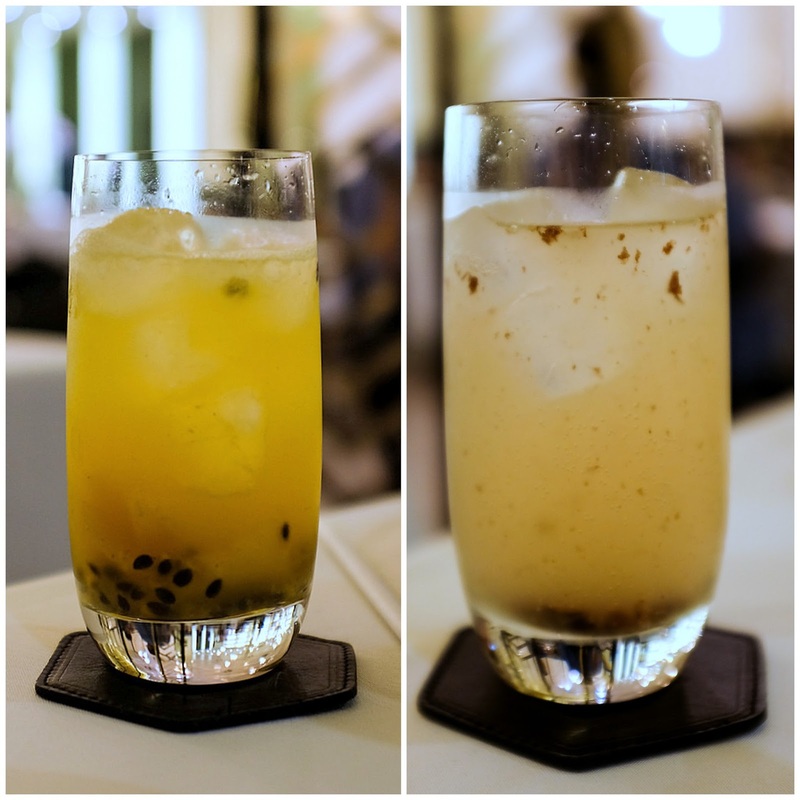 This is well worth trying, but hurry - it's a bug's life for this week only at Gastro Bar, everyday till Sunday (June 12). 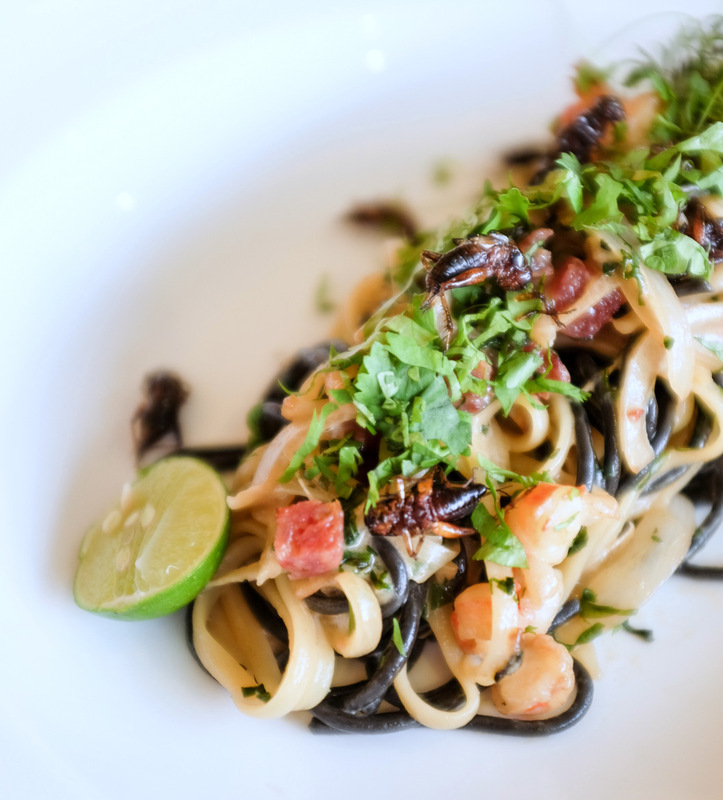 The cricket pasta (affordably priced at RM28) is part of a newly launched exploratory menu that aims to showcase a uniquely different dish every week. 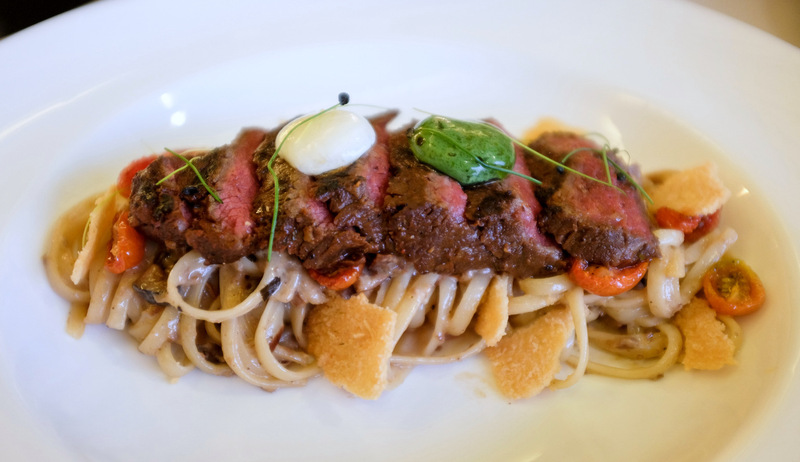 Advance reservations for this dish are recommended, since the restaurant offers limited servings daily. 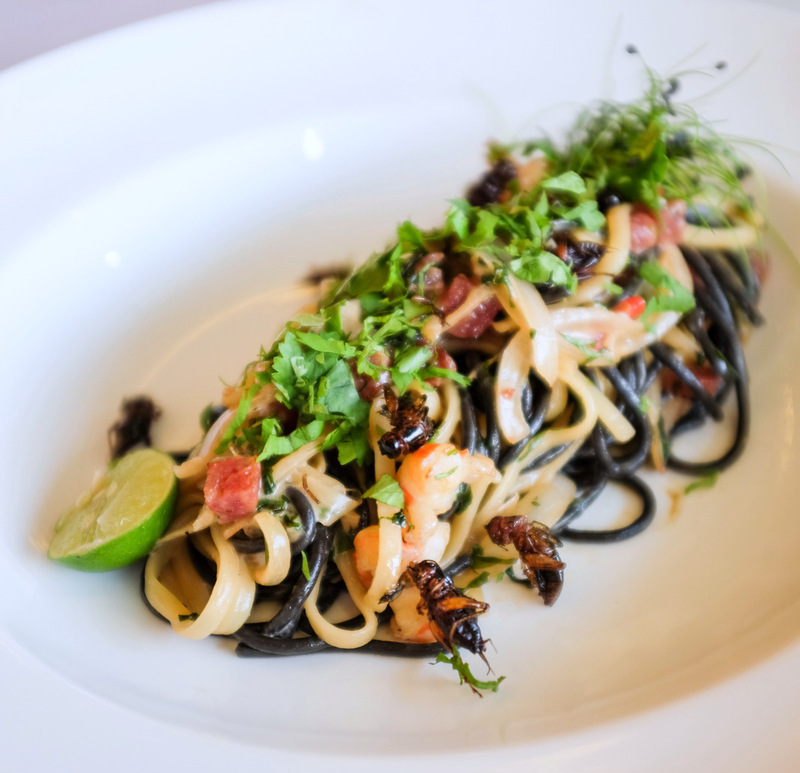 But for the genuinely entomophobic, no fear: You can still savour insect-free pastas & noodles from Gastro Bar's regular menu. 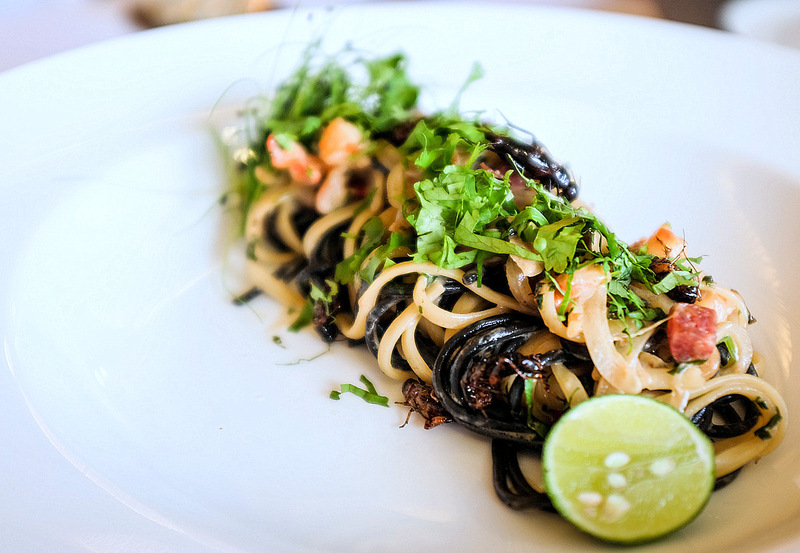 The recipes maintain a sense of elegantly versatile playfulness - caramelised sweet onion pasta with grilled striploin, Parmesan tuilles & cilantro-horseradish cream (RM38) & mee sua with Shaoxing-cooked prawns, napa cabbage & crispy shallots in a prawn-&-pork broth (RM28) are only two examples. 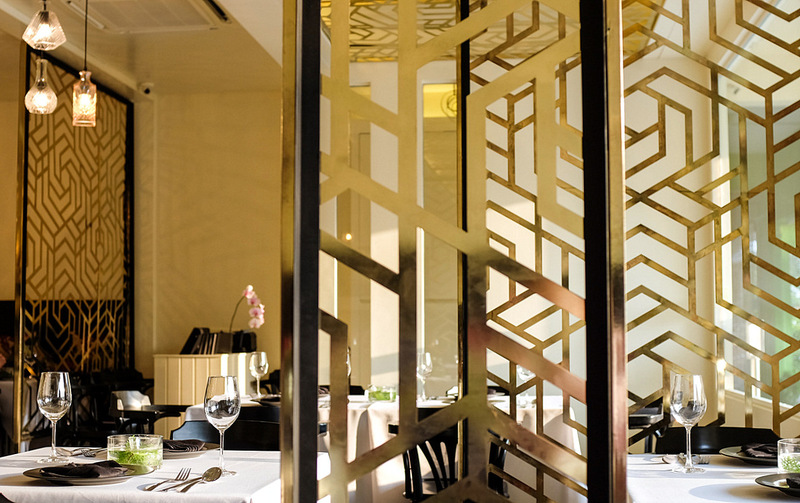 Click here for some of Gastro Bar's other a la carte highlights. 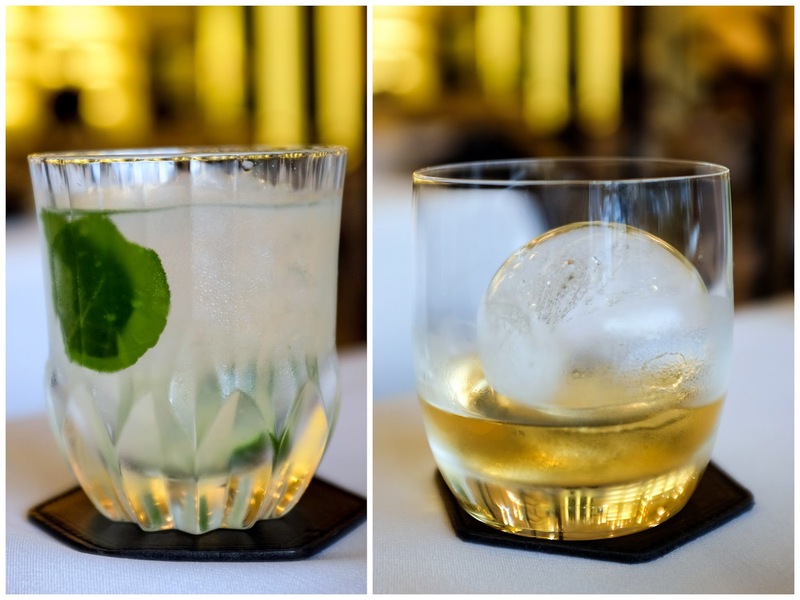 And if you need liquid courage to help you confront the crickets, the bar comes prepared: The strongest cocktail available is the Caipirinha (RM38); or even better, have the Amrut Fusion whisky (RM35; distilled from barley from Scotland & India). 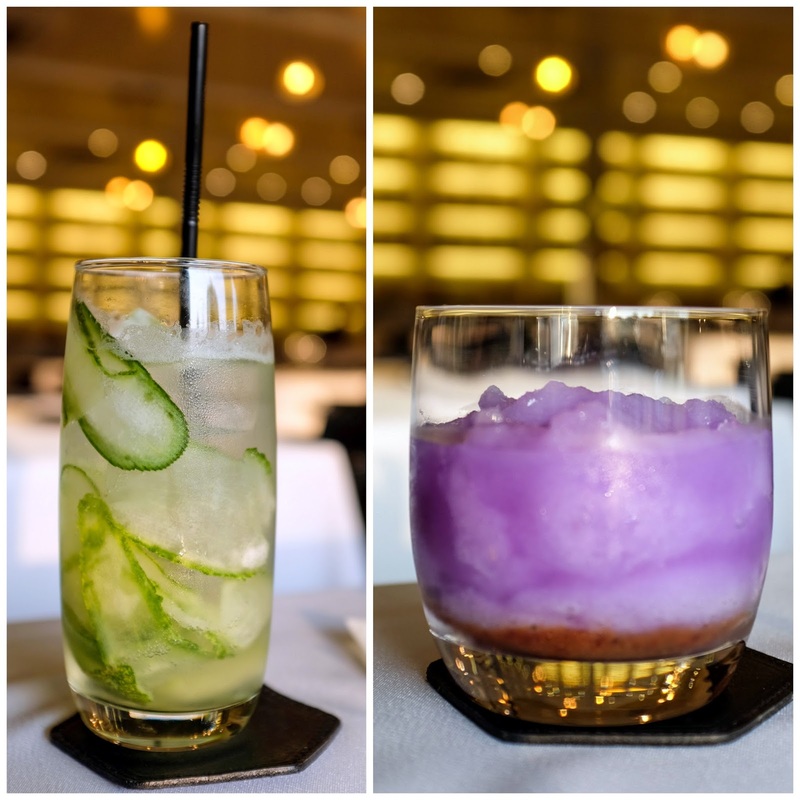 For teetotalers, Gastro Bar offers distinctive mocktails (the cucumber-elderflower soda & rambutan ice-blended with red dates, raisins & butterfly pea flowers are both beautifully refreshing), most of which can also be transformed into cocktails (spike your lychee-plum soda with gin & your pineapple-mango soda with rum). 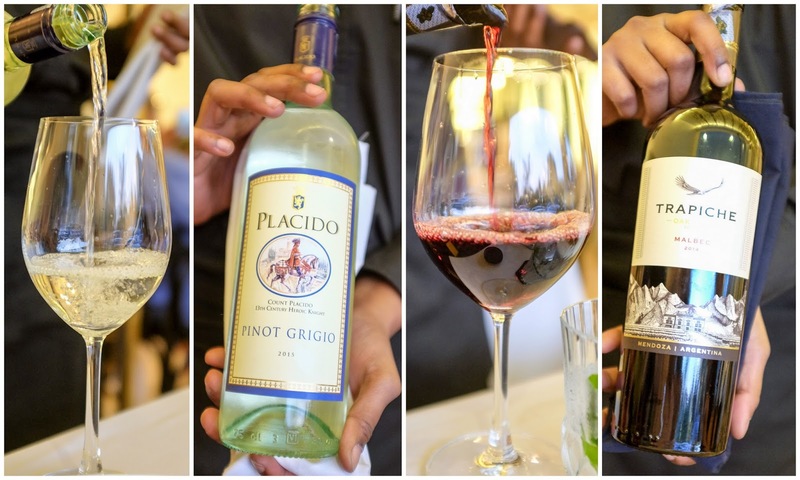 And for the final touch, experiment with what wine pairing works best with crickets - it's probably debatable, but we'd opt for the house white for the cricket pasta & save the red for the steak pasta & prawn noodles. Many thanks to Gastro Bar for having us back. 8 & 10, Jalan BM 1/2, Taman Bukit Mayang Emas, Petaling Jaya. Yikes! At first I thought it was just a fancy name for the pasta until I took a closer look and realized that it is cricket cricket! The plating is gorgeous. I mean the pasta. hah..hah.. That lone cricket leg is kind of macabre! Eyewwwwwww!!! Thank you very much! 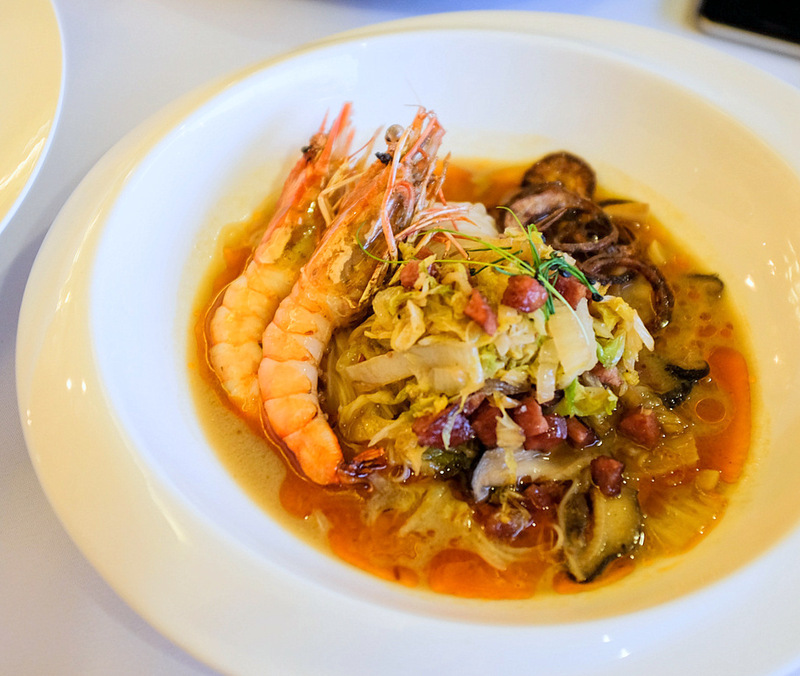 I'm ok with eating cricket, but more interesting with the mee sua with Shaoxing-cooked prawns. Crispy shallots + prawn-&-pork broth taste like prawn noodle (harmee)?